Super Eagles and Leicester City striker Ahmed Musa entered the Nigeria history books when he became the first player to score two goals in a single match at the World Cup against Argentina on June 25, at Brazil 2014 World Cup. The former Kano Pillars star is not bothered that the Super Eagles have been paired again with Argentina at the 2018 World Cup, saying they will do everything possible to win no matter the opposition. ‘It doesn’t matter who we come up against; we’ll be giving it our best shot at the World Cup. We’ll be trying our hardest in every match, no matter the opposition,” Musa told fifa.com. Musa was on the books of CSKA Moscow for four years and hopes to return to Russia with the Nigerian national team this summer. ”I hope I get selected. 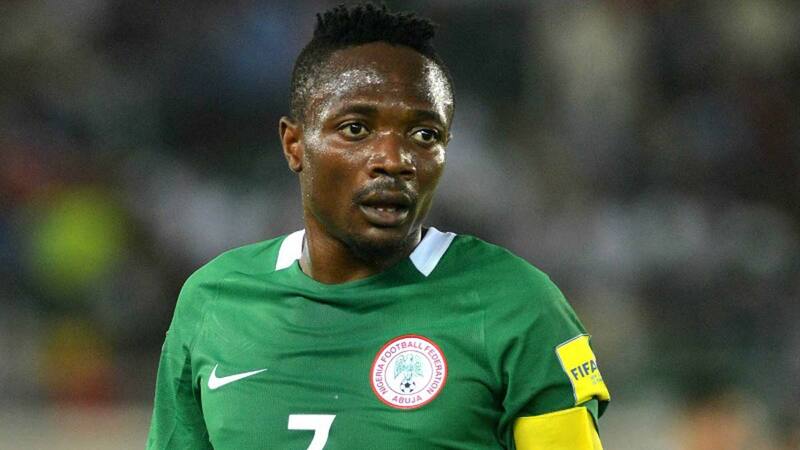 The World Cup is a very important event for any player,” added Musa. Ahmed Musa played the last twenty minutes of Nigeria’s 4-2 win against Argentina in a pre-World Cup friendly staged in Krasnodar November 2017.Meanwhile, Argentina and FC Zenit Saint Petersburg winger, Emiliano Rigoni has named the Super Eagles as their most difficult opponents in Group D.
The two-time world champions have already beaten the Super Eagles four times in four attempts in previous tournaments, but Rigoni is aware of the fact that they were humiliated 4-2 in a friendly two months ago.”The group is hard. In general, I think that there is no such group at the World Cup in Russia where you can definitely say who is the favourite, where exactly you know which teams will leave the group,” Rigoni told Zenit’s official website. ”This does not mean all matches will be difficult. Separately, I would single out the game with Nigeria, with which we have already met a huge number of times in the last World Cup, and it has never been easy. ”It will not be easy this time, but we come to this tournament with a clear desire to win all, not to lose a single match and win the title.”Emiliano Rigoni replaced Angel Di María in the 76th minute during the friendly in Krasnodar on November 14, which the Super Eagles won.